Incorporating and eco-friendly lifestyle to your home can be easier than you think, especially when it comes to your backyard. While we do our best to use energy efficient light bulbs, reduce the use of everyday plastics and limit food waste throughout our homes, why not bring our environmental awareness to the place where we have celebrations and weekend barbecues— our backyards. The backyard is the best place to add our eco-friendly touch and transform into a thriving sustainable environment. An eco-friendly backyard is a great way to create a beautiful space for you and your family to enjoy all year long. Follow these seven tips to turn your backyard into a place that respects the environment without breaking your budget. Conserving water is a great way to make your backyard more eco-friendly. 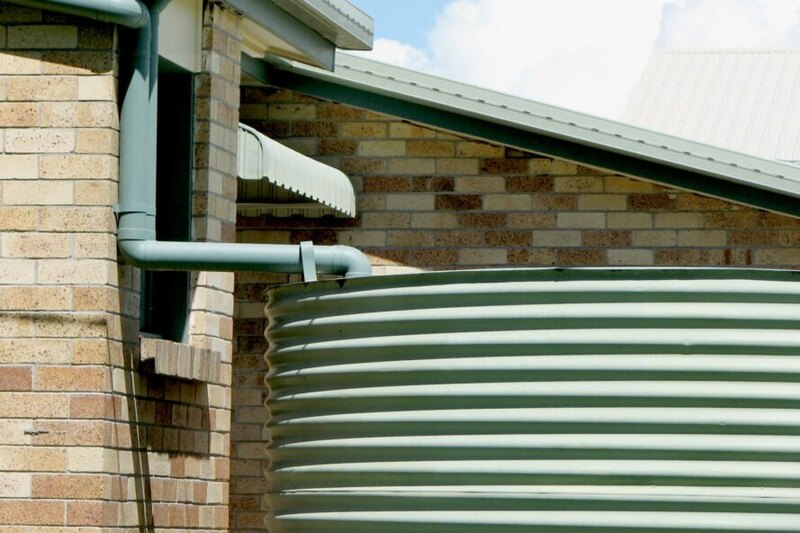 You can install large water tanks in your backyard that hook up to the gutters in your house. The tanks will fill up whenever it rains. If you do not want a large tank consuming space in your yard, consider buying a smaller one that you can empty more frequently. You can use the recycled water for a number of different applications. This includes watering your garden, drinking (after it has been filtered) and other household projects. Not only is this a good move for the environment, but it can also save you on future water bills. Different types of ground cover, such as moss and clover, are good alternatives to traditional grass lawns. These varieties of ground cover require far less mowing and water through the hot summer months. Moss is great for shady areas of your backyard, as it will keep its color in the summer heat and feels great underfoot. For other areas of the lawn that get more sun, consider adding some clover as a grass replacement. Clover smell sweet, is resistant to drought, and is great for the soil. Clover also requires less mowing and you can even let it bloom to attract bees. According to Better Homes and Gardens, you should always pick native trees and plants when selecting flora for your backyard. Trees and plants that are native to your area will attract butterflies, birds and wildlife, and are more suited for the local environment. These plants also come equipped to handle diseases and pests that are common in your location. After they take root, native flora is also easy to maintain. These plants typically do not need extra fertilizers or pesticides because they are already accustomed to the soil. They also require less watering and tend to do well with the natural weather patterns. If you are building a new deck or adding on to an existing structure, consider using wood composite instead of traditional lumber. Wood composite is made out of recycled plastic and reclaimed lumber. According to Tata and Howard, the end result is a sturdy product that is more durable than natural wood and easier to maintain. This type of wood will also last longer than the traditional alternative, which makes it friendly to your budget. Using recycled plastic is also great for the environment and helps reduce the amount of trash that ends up in our landfills. When mowing your grass, only cut off a third of the grass length each time. You should also mow more frequently as this will allow your lawn to retain water. 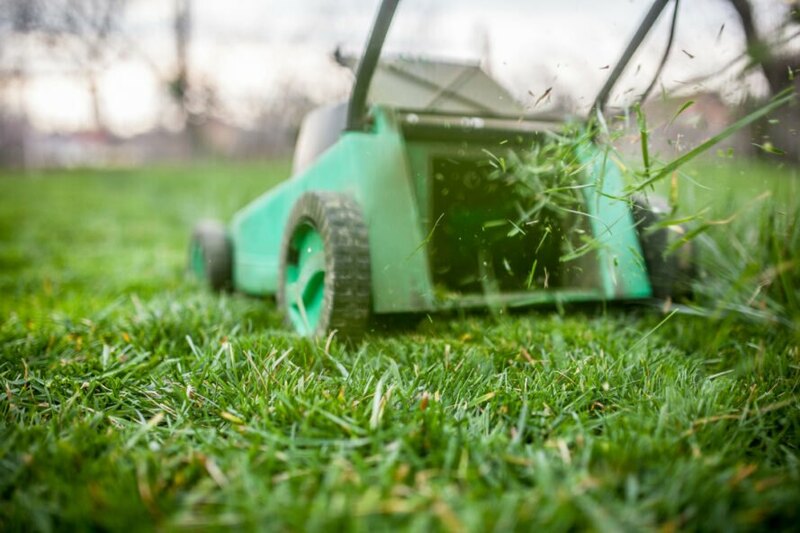 After you mow, consider leaving the clippings in the lawn or try mulching them in. The clippings are mostly made of water and have high concentrations of nitrogen. If you simply cannot leave the clippings behind, you can always add them to your compost pile instead of throwing them in the trash. It is no secret that pesticides are bad for the environment and people’s health. Several pesticides that were once widely used, such as DDT, have since been outlawed and deemed hazardous. For best practices, it is recommended that you avoid using pesticides in your backyard. Instead, try pesticide alternatives like natural herbicides or wildlife for pest control. If you need to fight mites or other bug infestations, you can use oil-based sprays or soaps that work as natural insecticides. If you are in need of some exercise or want to soak up some sun, you can always go the old fashioned route and pull weeds by hand. You can also introduce certain types of insects into your garden, like praying mantises or lacewings, which are great at eating pests, creating the ultimate eco-friendly backyard. Composting cuts down on garbage production and gives you a high quality fertilizer for your garden. Better yet, starting a compost pile only requires some soil and a warm location. You can build a compost pile out in the open or invest in a bin if you are concerned about aesthetics. Compost bins are affordable and come in a variety of styles to match existing décor. You can put all kinds of things in a compost pile. 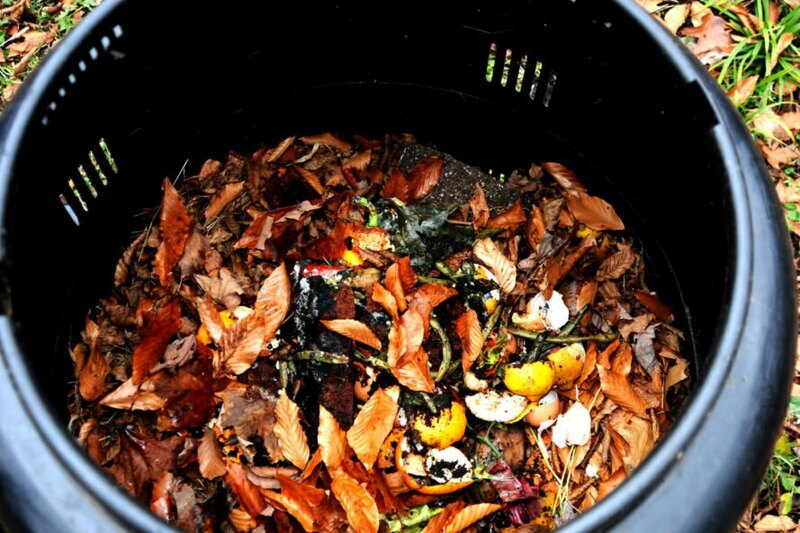 From veggie scraps and eggshells to newspapers and lawn clippings, anything that rapidly decomposes is ideal for composting. These types of items will attract the right kind of bugs, which then will turn the waste into fertilizer. A compost pile typically takes around six to nine months to produce fertilizer. 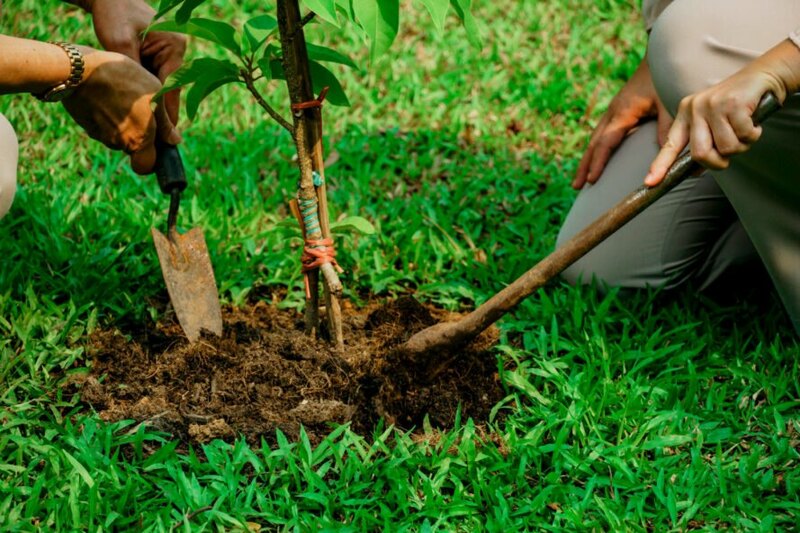 An eco-friendly backyard is a great way to protect the environment. Take full advantage of the rain and insert a water tank in your backyard. Native plants and trees are the best way to go when inserting more greenery into your backyard. Hold onto your grass clippings after you mow your lawn and turn it into compost. The great thing about compost bins is that they can fit in small or large backyards.